Commissioner James Endman (Ret.) 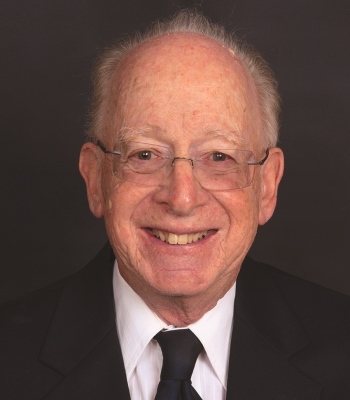 was assigned to the Los Angeles Superior Court’s Family Law Department for 25 years and is best known for the In re Marriage of Keech case which resulted in the concept of the “Keech declaration.” Prior to his service on the bench, he practiced Family Law for almost two decades. Well-regarded by the family law bar, Commissioner Endman has a formal yet comforting manner that is well-suited to resolving emotionally-charged disputes. From 1989 until his retirement from the Superior Court Family Law Department in 2014, Commissioner Endman handled Mandatory and Voluntary settlement conferences, Law and Motion matters, and all phases of family law trials. A private practitioner from 1969-1988, he was one of the two original attorneys invited by the Family Law Supervising Judge to be on the child support defense panel. As an attorney, Commissioner Endman handled Hisquierdo v. Hisquierdo from trial through appeal, including argument before the U.S. Supreme Court. Hisquierdo was one of the few family law cases ever heard by the Supreme Court. Commissioner Endman is well known as one of the “Three Amigos,” along with Hon. Robert Schnider (Ret.) and Commissioner Keith Clemens (Ret. ), who have participated in an annual MCLE Family Law update program presented by the Beverly Hills Bar Association for 23 years. Commissioner Endman has a degree in Accounting and is particularly qualified to work with forensics. He has also taught Business Law and Introduction to Business at a community college since 1974. Commissioner Endman is available throughout California.